On the kitchen table of this house, the morning of November 6, 1880, Mrs. Luther Lucas, a farmer's wife, was delivered of a healthy infant son, after a mid-line incision made by Dr. Moses Baker, a pioneer physician-surgeon of Stockwell. 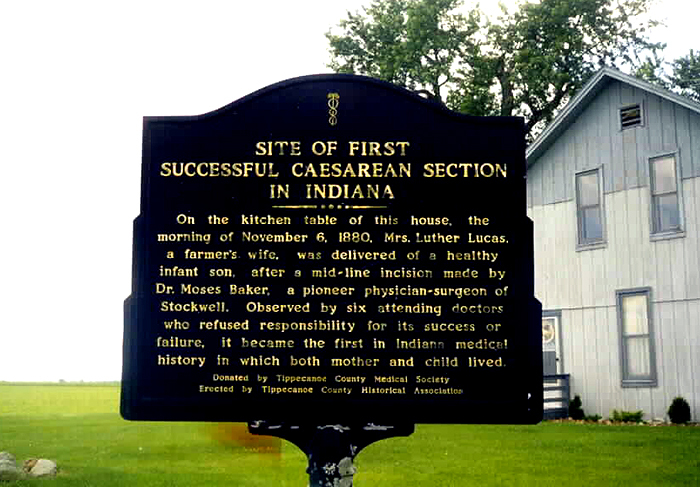 Observed by six attending doctors who refused responsibility for its success or failure, it became the first in Indiana medical history in which both mother and child lived. Erected by Tippecanoe County Historical Association. 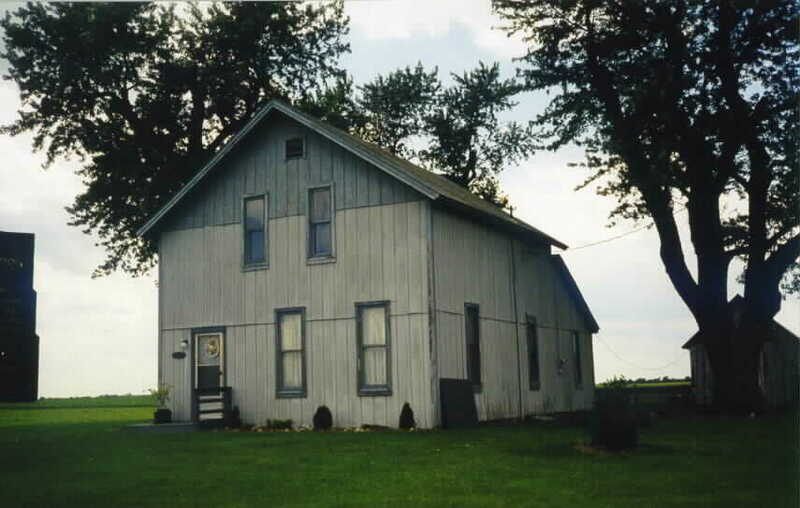 Located in front of the old Baker residence near Stockwell on U.S. 52.